Are you a foodie and willing to enjoy mouthwatering food during your international tour? Are you looking forward to trying veer from the safe food choices to something new and traditional? If yes, you should definitely plan your tour to Greece. Along with sea beaches and crystal-clear blue waters, a tour to Greece lets you enjoy plenty of tasty traditional Greek food recipes made using fresh ingredients right off the farmer’s market. The best thing about Greek food recipes is that they give you a perfect blend of both Western and Eastern cultures. Fresh veggies, seafood, especially fishes have a major role in Greek dishes because of big coastline nearby. Based on excellence in taste, a Greek cuisine menu has found its place in the culinary circles of Europe and other parts of the world. Courgette balls are popular veggie starters available in almost every Greek restaurant. Made of Cretan maize combined with salty and tasty feta cheese, and fresh mint, ouzo, green onion and herbs for flavour, the dish has everything to satisfy your taste buds. 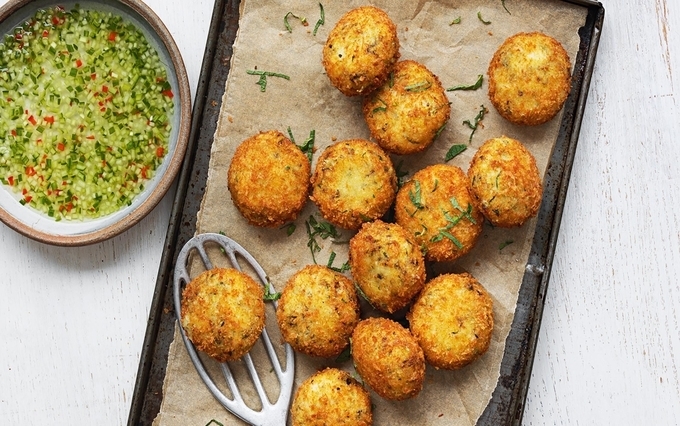 Original Courgette balls are crispy from the outside, with a creamy texture within. 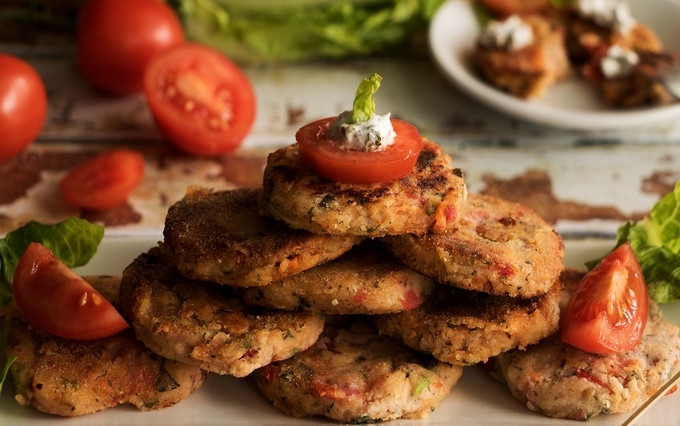 Tomato fritters or tomato keftedes are main course veggie items popularly found in Syros and Santorini. Chefs prepare this Greek food by draining of tomatoes. The fritters contain rough edges with onion and tomato chunks as well as bits of mint to give a tasty flavour. Choriatiki, the Greek salad is the must-have, found in almost every Greek cuisine menu at different restaurants in Greece. 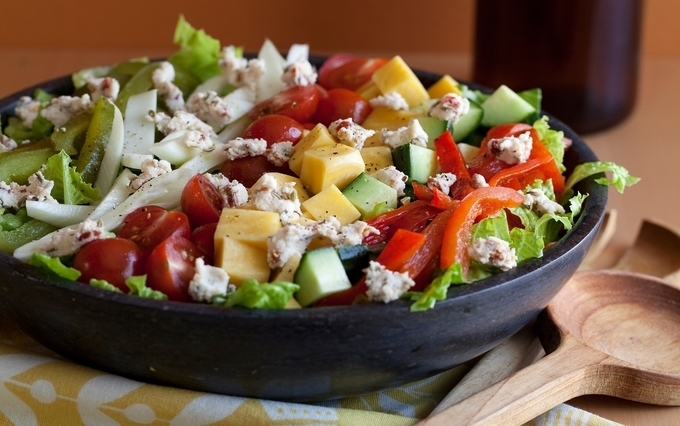 The salad consists of cucumber, tomatoes, olives, a few pieces of feta cheese and is served without a dressing. However, a few restaurants provide you with a personalized choice of salad dressing that usually includes pepper, salt, olive oil and vinegar. What would be better than having an excellent side dish Choriatiki with traditional Greek starter? The country of Greece has varieties of mouthwatering dishes for non-vegetarians. 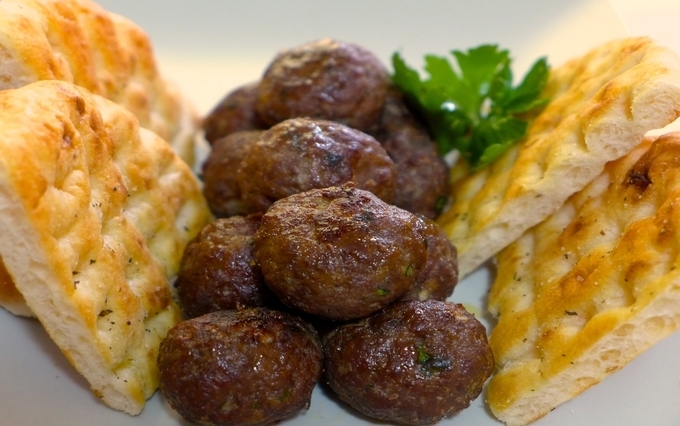 Especially, you must not miss tasting the crispy and juicy Greek meatballs or keftedes. Known as a leading Greek appetizer, the dish is served in almost every famous Greek restaurant with pita bread and creamy sauce. Alternatively, you may even opt for meatballs as your main course to enjoy a Greek salad and with a bowl of fragrant steaming basmati rice. Want to enjoy traditional Greek food while exploring the beautiful streets in the countryside? Just have Souvlaki, a popular dish found in almost every street-side restaurant in Greece. 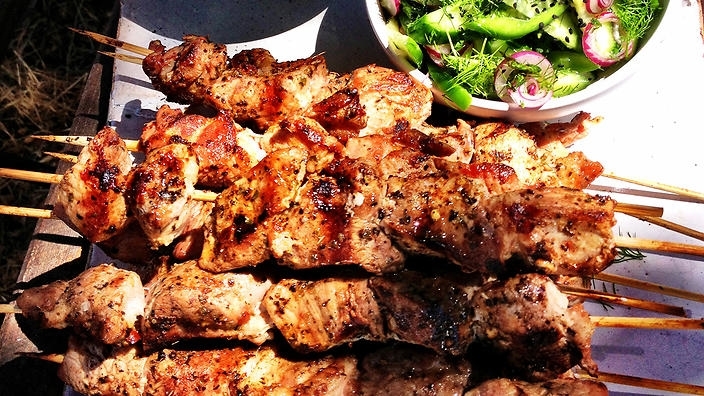 Chefs cook Souvlaki using seasoned meat and later, flavour them by using tzatziki sauce. 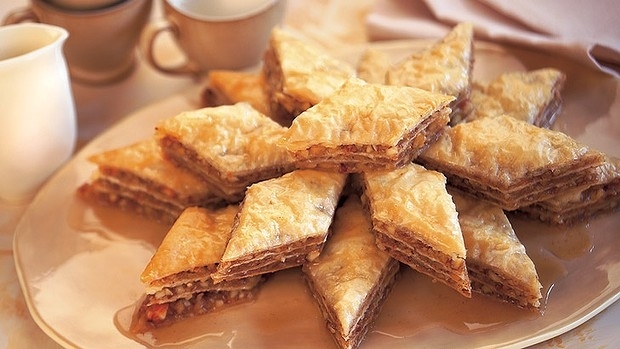 To make the most from your treat at a Greek restaurant, you should try the ever-popular Greek sweet dish Baklava. Made using butter, sugar and nuts, Baklava is a baked dessert. It has a flaky crust and exquisite flavour that brings a festive mood in the fine dining room. 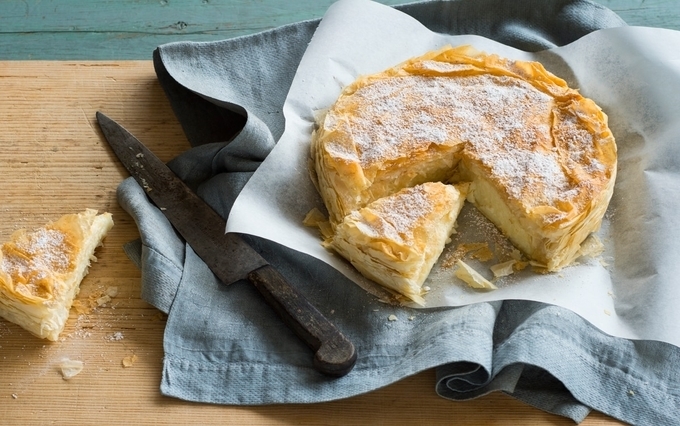 The Greeks are fond of a sweet pie, Bougatsa, which you must try for sure. Bougatsa is prepared with a semolina custard and phyllo pastry. You may want to try having this sweet pie at any street side food stalls, which are often served sprinkled with powdered sugar and fresh cinnamon powder on top. Exciting, interesting and mouthwatering, aren’t they? Well, if you find your taste buds salivating get in touch with Kesari Tours for the Greece Tour options today.